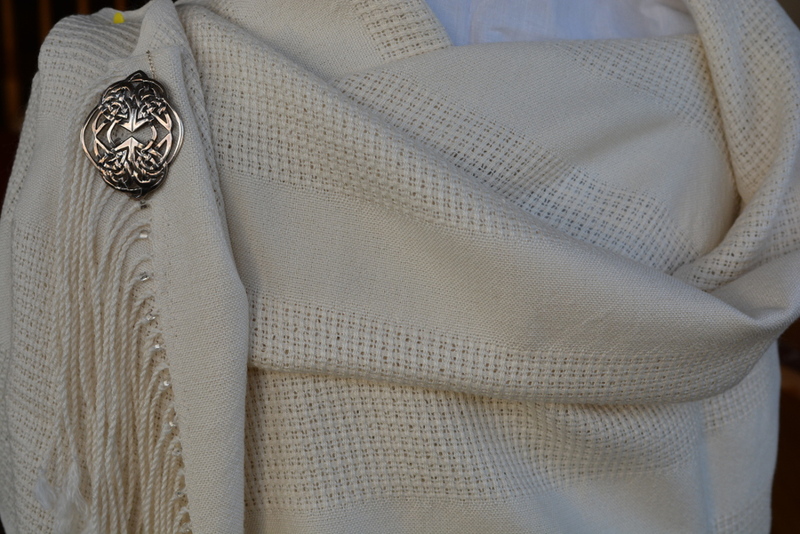 Handwoven using Royal baby alpaca (70%), silk (20%) and cashmere (10%). Woven with lace panels, with glass beads on the fringes. Currently in natural colour, but can be custom dyed.